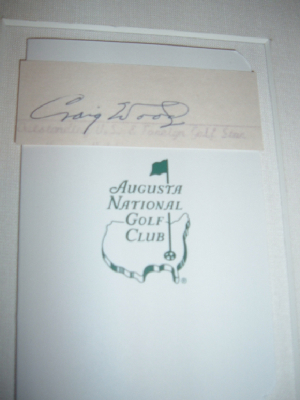 Craig Wood is I think the most difficult Masters winner autograph to obtain. Craig Wood is one of if not my favorite golfers of all time. He could have easliy won all four majors. 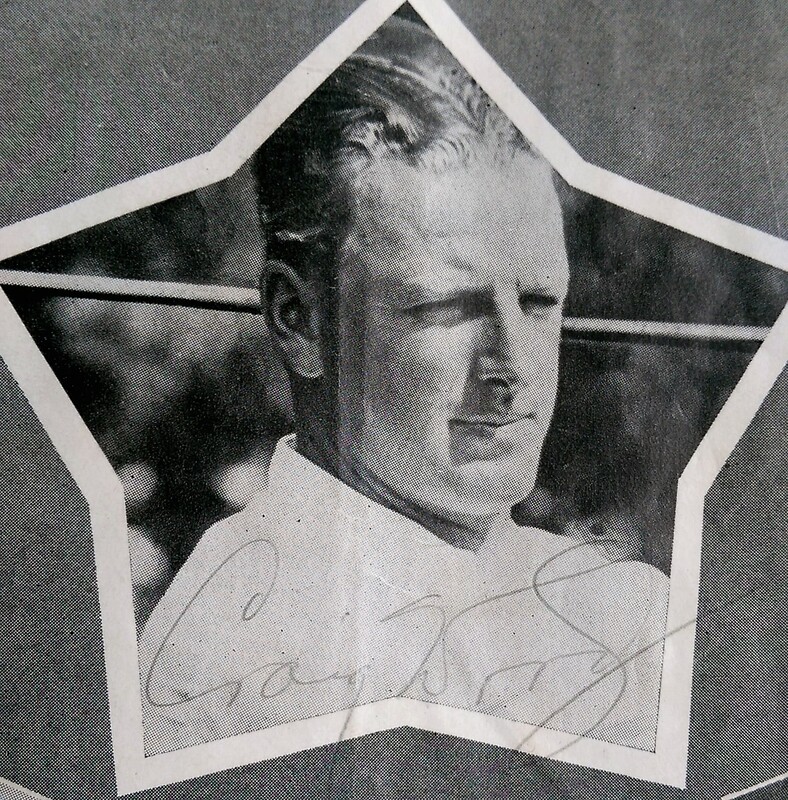 He just missed out in winning the 1934 and 1935 Masters and finally won in 1941. In 1933, he lost a playoff to Denny Shute for the British Open. In 1934, he lost playoff for the PGA Championship to Paul Runyan. 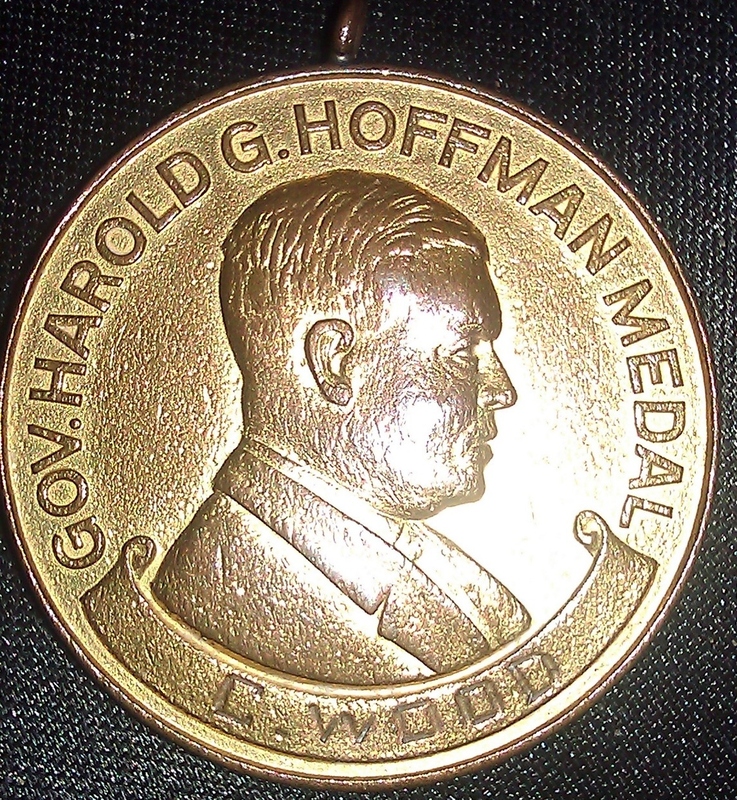 Craig Wood won the 1941 US Open. He was also know to have the Longest drive ever seen on the Old Course. It was a drive of 430 yards in 1933. Mr. Wood passed away in 1968. Good luck in finding a authentic autograph. Several autographs have showed up on ebay but only a handful are real. A very rare single signed photo signed in 1945. Photograph and autograph were obtained during a military tour in AZ during WWII. 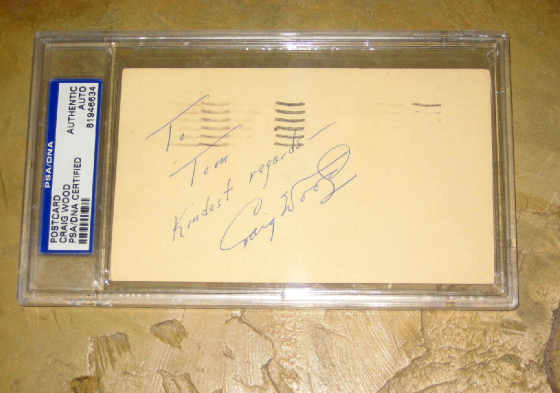 A letter written and signed by Craig Wood on his stationary. Craig Wood signed group photo. Signed during Support the troups tour in 1945. Close up of the autograph. It looks much nicer in person. I can't take a nice photo of it without glare. 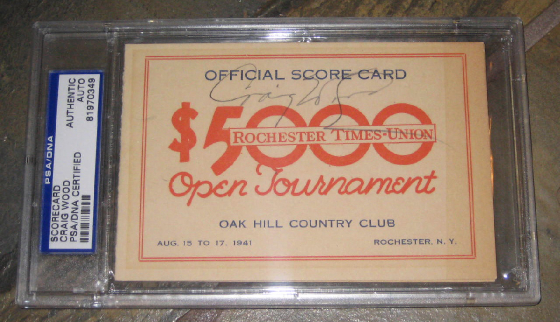 Craig Wood signed Official Tournament scorecard from the 1941 Rochester Open at Oak Hill where his name sake Craig Wood Harmon (Claude Harmon's son) is now the head pro. 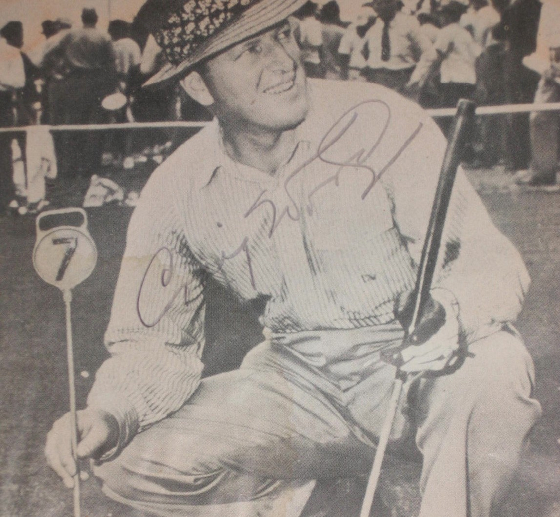 Nice vintage autographs of Hogan, Wood, and others. 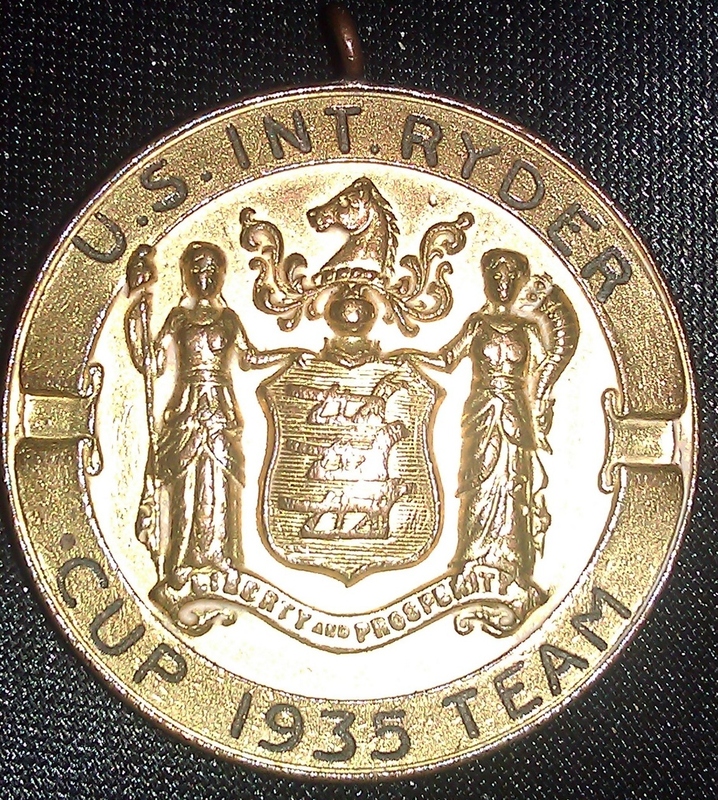 This is Craig Wood's 1935 Ryder Cup participation medal. 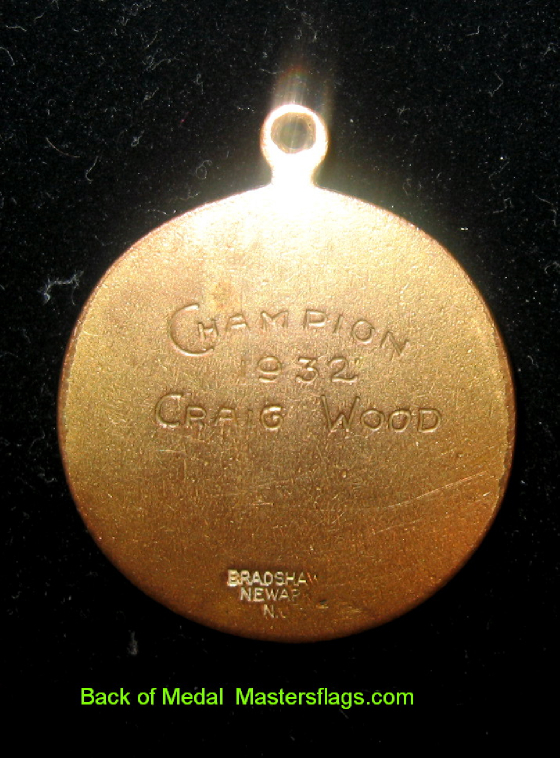 Craig Wood's Medal given to him for his victory in 1932 New Jersey Professional Golfer's Association Championship at Hopewell Valley Golf Club. 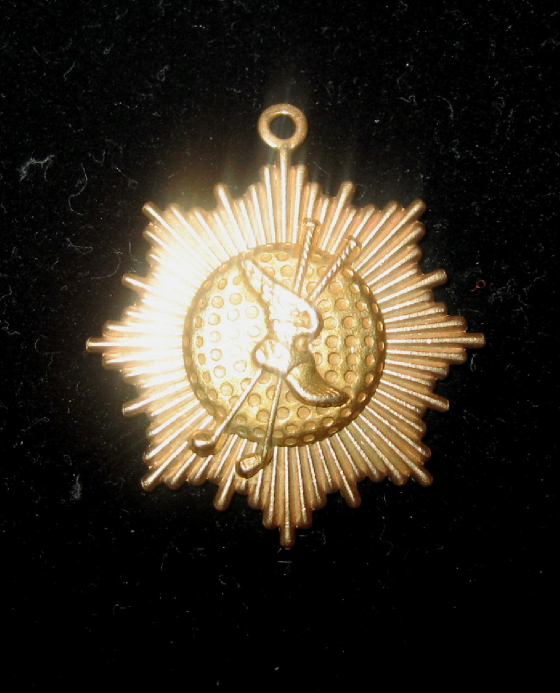 Craig Wood's Medal given to him by Winged Foot Golf Club for his service to the club. This is Craig Wood's golf bag name tag for the 1968 Masters. 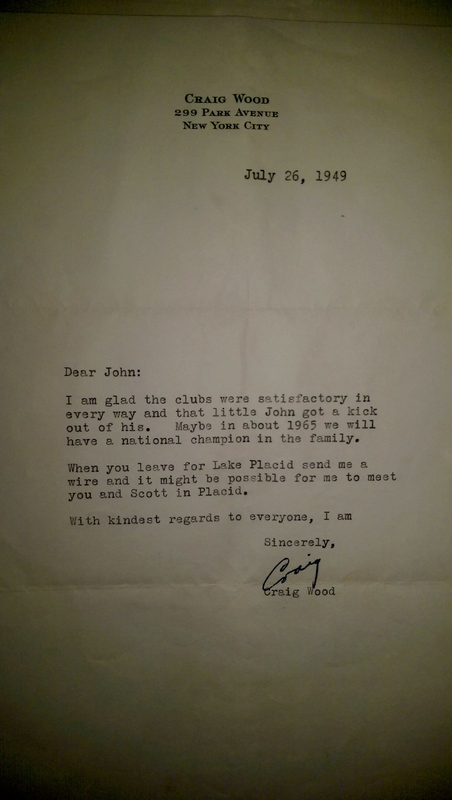 Mr. Wood did not play in the 1968 Masters, but was still given this when he attended the masters and Champions dinner. He passed away expectantly a month after he was given this bag tag.